Sometimes it’s not what you’ve run, but how you ran, or who you shared it with. When running with a friend, there’s always chat, and a slight edge of competition lurking just beneath the surface, as you strive to push each other. There’s a subtle frisson, and often the focus shifts on to each other, rather than absorbing where you are and how you thrive in the fluidity and movement of running itself. There’s one running partner I’d choose above anyone else, for the amount he’s taught me about how to run, and how to enjoy every second. He’s not the fastest runner, and his breath smells, but the bark of his commands, and the delight he exudes while revelling in the landscapes we run through, is totally infectious and all pervading. He even sleeps with his head on my wet shoes, as they steam gently in front of the wood burner, after a run in the fells. For those who know me, my coach needs no introduction, he’s my 43kg furry shadow, Maximus a Bernese Mountain Dog. He’s no Usain Bolt, but neither am I, but we specialise in long days out without any risk of having to avoid breaking any records on the way. 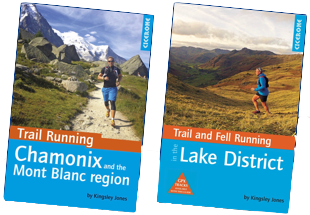 The author Richard Askwith is perhaps best known for his classic book ‘Feet in the Clouds’ (link), a tale of his obsession with the Bob Graham Round, and fell running in the Lake District and UK. Surprisingly it wasn’t this book that struck a chord with me, but the following book ‘Running Free’ (link), in which he explores a persons move to reconnect with nature, as a later phase in their evolution as a runner. He frequently runs with his dog, and summarises the benefits better than I ever could; “The real rewards of running with a dog come not from encouraging the dog to enjoy exercising in a more human way, but from learning to enjoy one’s own exercise in a more canine way“(link). No one will teach you more about how to enjoy a run than a dog. No one will be more supportive of your early morning sorties. No one will moan less about the weather if it’s raining or cold. That aside, running with a dog is not just having a training partner, as genuinely they are the best coach you will ever have. Dogs teach you to learn, not just to churn out the miles. You see them detect a scent, and they heighten your senses, as you perhaps pick up the faint musky smell of deer. Those awoken senses make you smell the moss on a rock or fallen log, that you subliminally then raise your feet to clear, so as not to slip. The ease with which a dog changes its cadence on different terrain, and moves on steep ground, constantly teaches us how to improve and gain instincts. I have become a better distance runner from running with my dog. 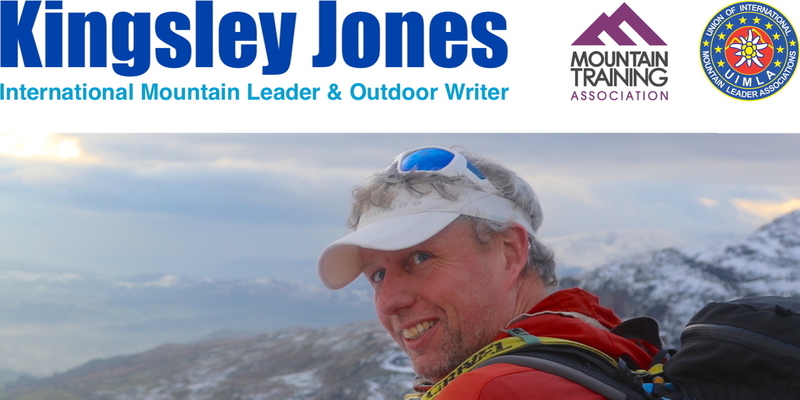 He echoes what the legendary mountain guide Ivano Ghirardini once told me; “always go peacefully in the mountains“. This wasn’t a vapid hippyish statement, but an encouragement to approach the mountains in the most efficient, relaxed and lowest impact method. My favourite quote comes from the climber Yvon Chouinard, who said “the more you know, the less you need“, and who knows more and carries less than a dog? Perhaps they’ve got it right all along, and we need to shun the hill reps, the gels, and the latest compression gear, to watch what has worked for thousands of years; nature. A dog teaches you to see things differently, to move more efficiently, and to better take strength from where you are running. The rewards from running in the mountains with a dog are poorly documented, but for anyone who regularly does it, you will know how valuable it is to you. Maximus knows how important it is, and I’m sure he feels the same way too. As we stop mid run on a mountain top, he always sits next to me, and I feel an almost imperceptible nudge of his weight closer to me, to acknowledge a shared joy of our experience which no one else could understand in our moment. I’m privileged to have been taught to run more like a dog, and could never wish for a better coach. Thank you Max. You should do – it’s the best thing ever. Good luck with your quest to run marathons in all 50 states – inspiring stuff! Really enjoyed this. I do all my running with a dog and pretty much all of this rang true. If you don’t mind me asking, what sort of distances do you do with Max and how does he get on with the heat?